We love the shape of these stackable storage boxes. To us they look like hat boxes! 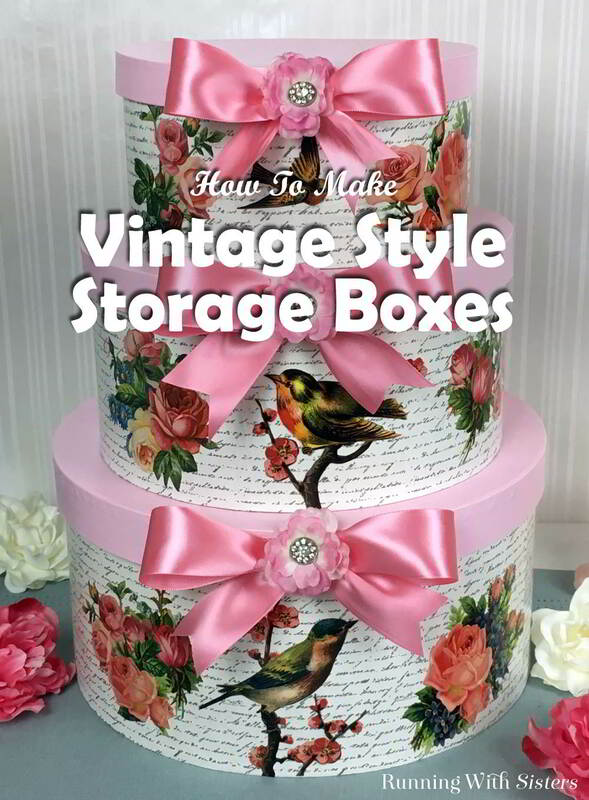 So we decided to decorate them with vintage clip art and bows to make fancy Vintage Decorated Storage Boxes! 1. Print the clip art on a color LASER printer. We took ours to FedEx/Kinko’s. If the graphics are printed on Inkjet printer, the ink might run. 2. Paint the lids of the storage boxes Pink Carnation using a foam paintbrush and let dry. We used 3 to 4 coats to get good coverage. 3. Paint the boxes Summer Linen and let dry. 4. Decoupage the vintage script paper around the sides of each box, leaving about 1” uncovered around the top edge so the lids will fit back on the boxes. (You may need to use two pieces of paper for the medium and large boxes.) Let dry then seal each box with a layer of Mod Podge. 5. Cut out vintage clip art images. Decoupage a bird onto the front center of each box. 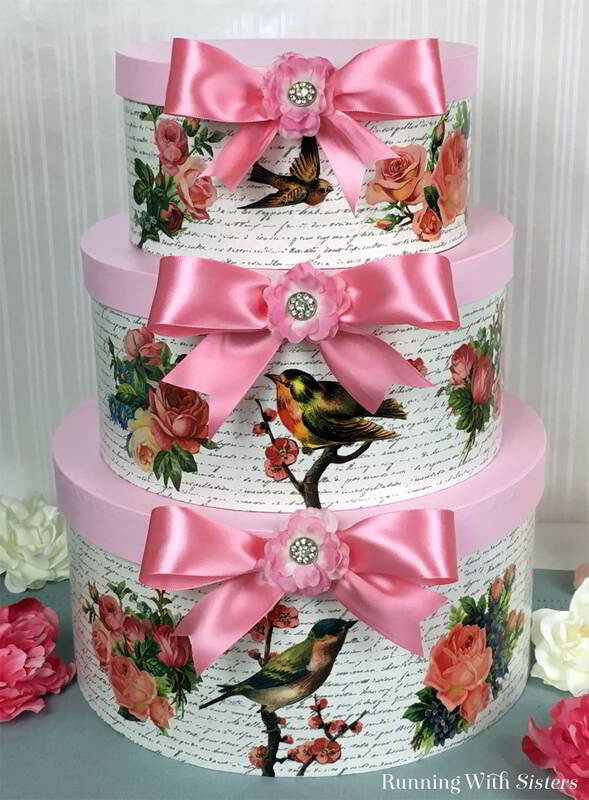 Then decoupage a cluster of roses and flowers to either side of each bird. 6. Place the lids on the boxes. Tie three bows and hot glue one to the front edge of each lid. Hot glue a pink rose topped with a vintage rhinestone button into the center of each bow. Finish by stacking the boxes. Didn’t these Vintage Decorated Storage Boxes turn out pretty?! What would you store in them?